I love the thrill of playing. I know a big pay-out could solve all my problems. Gambling is my only shot at becoming a millionaire. I feel important when I win. I love being able to treat my family and friends. I have a sure system. It's just a matter of time before I win again. When I am on, I can make money fast and easily. Gambling lets me forget my problems and pain for a while. Gambling is the one thing in my life that is just for me. When I gamble, I'm in control. Gambling gets me out of the house. I feel safe and welcome. My partner is threatening to leave me if I don't stop. I'm tired of sneaking around, lying and hiding my losses. Creditors are hassling me. I'm looking at bankruptcy. I've stopped caring about things that should be important to me. I've borrowed money from so many people. I feel ashamed to face them. I'm afraid I'll lose my job because I'm always so distracted. I don't even enjoy gambling most of the time. Money problems: When family members learn that savings, property or belongings have been lost, it can make them feel scared, angry and betrayed. Emotional problems and isolation: Gambling cause problems such as strong feelings among family members, which make it harder to solve problems. Many partners of those with gambling problems do not want to be emotionally or physically close with the person who has hurt them. Family members may avoid other people, because they feel ashamed. This makes it hard to get love and support. Physical and mental health: The stress of gambling problems sometimes causes health problems, for both the person who gambles and the family. This can include anxiety, depression and stress-related problems such as poor sleep, ulcers, bowel problems, headaches and muscle pains. Burnout: Many families under stress have trouble coping. One member may try to keep things in control by taking on more tasks. This can lead to burnout. Family members often forget to take care of themselves or to have fun. Impact on children: When a parent or caregiver has a gambling problem, children can feel forgotten, depressed and angry. They may believe they caused the problem and that if they are good, the problem will stop. Children may believe they must take sides between their parents. They may stop trusting a parent who makes promises he or she doesn't keep. Some children may try to draw attention away from the parent with the gambling problem by misbehaving. Physical and emotional abuse: Family violence is more common when families are in crisis. Gambling problems can lead to physical or emotional abuse of a partner, elder parent or child. If this is happening in your family, get help right away (see Chapter 5). Many people who gamble excessively feel stressed, anxious and depressed. This can make sleeping, thinking and solving problems more difficult. You have lost interest in usual activities. 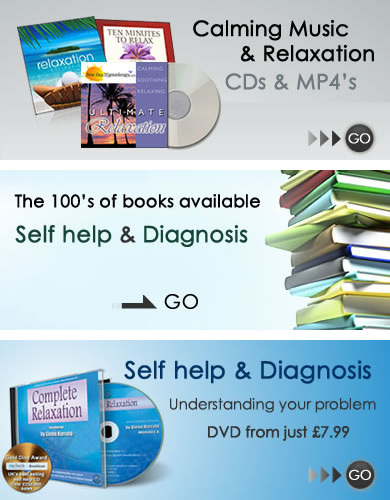 You feel depressed, down in the dumps or irritable. Your sleep has changed (e.g., you have problems falling asleep or staying asleep, or you sleep too much). Your appetite has changed. You have lost or gained weight. You feel helpless, hopeless or despairing. It is hard to think and to remember things, and your thoughts seem slower. You go over and over guilty feelings. You can’t stop thinking about problems. You feel physically tired, slow and heavy; or you feel restless and jumpy. If you have any of these difficulties, speak to your family doctor or other health care professional (a gambling counsellor can also make sure you get the help you need). Tell him or her about your gambling problems too. Treatment may include medications and/or counselling and other support. Rates of suicide are higher for people who gamble excessively, and for their family members. The people most likely to attempt suicide are those who also have mental health problems (like depression) or who heavily use alcohol or other drugs. People who have threatened suicide or hurt themselves in the past are also more at risk. If you feel suicidal or are making plans to end your life, get help right away. You don't have to deal with your problems alone. For more advice, see the box on this page. Get to your local emergency department immediately. Remove any means for ending your life (e.g., firearms, medications). Let your family or a friend know how you are feeling. Call the local Distress Centre for support and information. Let your doctor know what is going on, including your gambling. Do not drink alcohol or take other drugs as it will make matters worse. You can usually be seen within days. Talk to someone you trust, such as a friend or spiritual advisor.